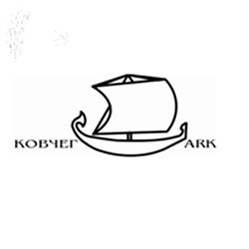 Film producing company «Ark» established in 2008 to develop the Kyrgyz cinematography in art-chaos style, adoption of new producer's practices, support of independent director's projects, create of high quality film products, deserving to be presented at the international film festivals and markets. In 2010 film producing company «Ark» realized the project «Country and State». The project consist of five documentary films created by five young film directors about one theme and co-operated in one full-length film (55 min.). The partners in project realization is «Internews Network» Agency in Kyrgyzstan as well as «Kyrgyztelefilm» studio and «Bishkek-film» studio. Now «Country and State» film is in postproduction. Project «Archa-Beshik» was started since «Kovcheg» company has been established. In 2008 the project was supported by Swiss Cooperation and Development Office in KR as well as Social Fund «Kinostan» in the period of screenplay working. In 2009 the project «Archa-Beshik» got financial support from Asian Cinema Fund on project development. In 2009 the other project «Paradise» has started. It is a full-length feature film. Genre is social-politics drama.